Raise your hand if you could use some easy weeknight pasta recipes. You know this mama loves anything that&apos;s easy and I&apos;m sure I&apos;m not the only one. I have enough going in the evenings with after school activities, I don&apos;t need to be stressing about how I&apos;m going to find the time to put dinner on the table. School is already back in session for us, and if it isn&apos;t yet for your family already, it will be soon. It&apos;s time to whip out the old schedule and go back to planning out your week. Things run a whole lot more seamlessly around my house when I go into the week prepared. And that&apos;s when meals like easy weeknight pasta recipes can really help! So, I rounded up a few of my go-to dinners for you to put away for a rainy day. Haha! That rainy day just may be today. I tend to run out of dinner inspiration by Thursday. And I always regret it when I pull the pizza trigger early. Friday nights were meant to be pizza nights. Am I right?! We&apos;re all officially beat by Friday, so I try to make it really low key for my kids, especially at the beginning of the school year. Everyone is still getting used to the more intense schedule and could use some down time in the form of a pizza pie and a movie sesh. 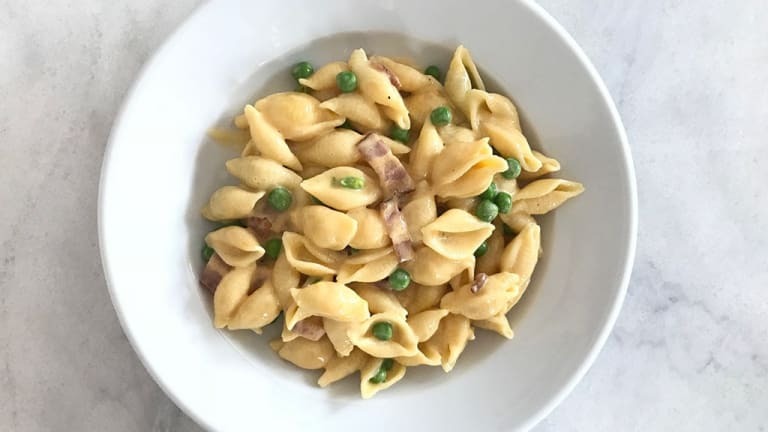 Cheesy Bacon Pasta...Cheese and bacon are always a hit with everyone. My kids don&apos;t even mind the peas when there&apos;s bacon around. Bwah! You gotta love a recipe that the kids love as much as the parents do! 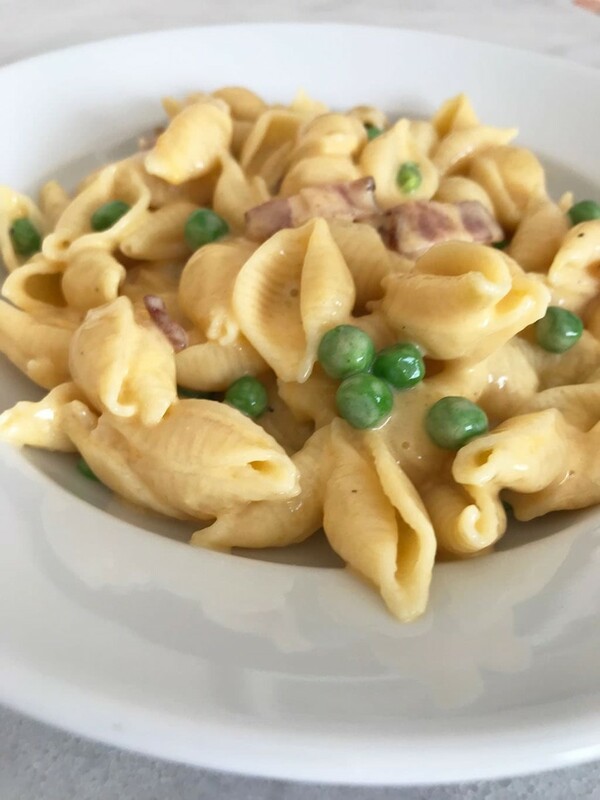 Dressed Up Mac and Cheese...Sometimes you just need something super simple like mac and cheese. But you don&apos;t have to settle for it as it comes. You can dress it up by making it into a casserole, adding protein etc.! Zoodles...If you have kids that are a little more adventurous, zoodles are the way to go. They&apos;re healthy, get a good dose of veggies in and are a nice change from your everyday kinda pasta recipes! 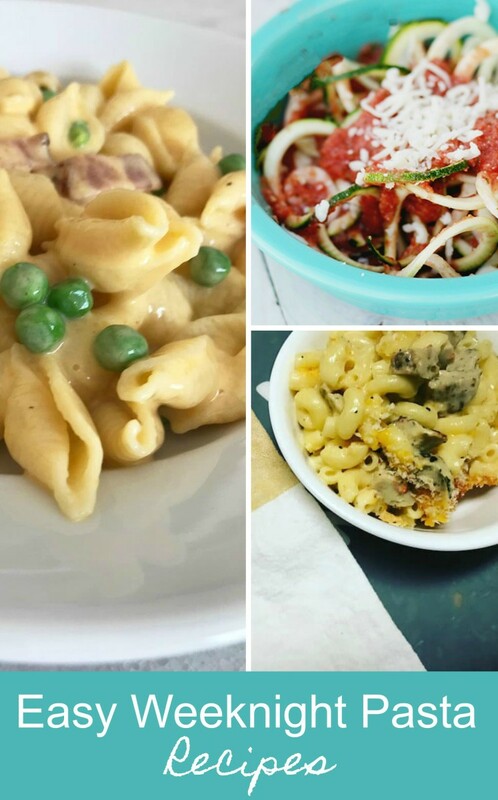 Now that you&apos;ve seen our easy weeknight pasta recipes, check out our easy after school snacks!